In just a minute, we'll walk you through some quick steps to help you enhance mist or fog in your images. 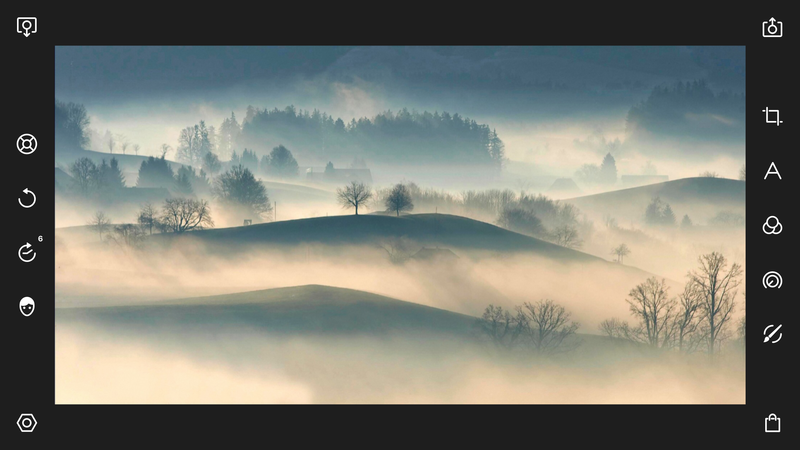 Here's our starting image features a hilly landscape with some fog or mist rolling through. 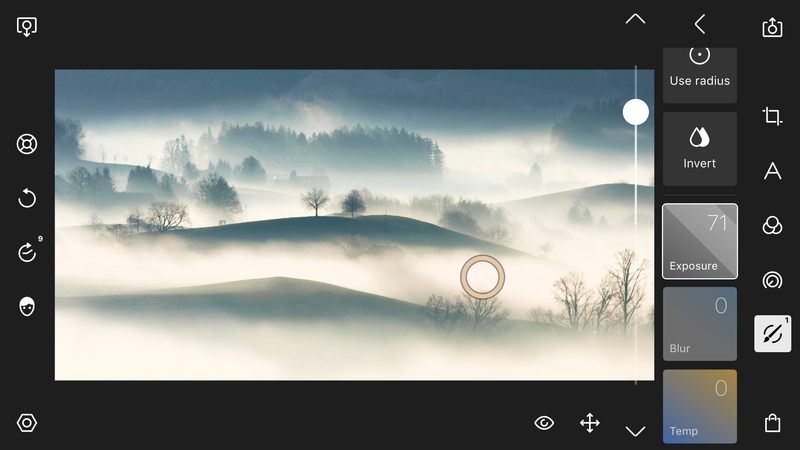 We're going to open the image in Polarr Photo Editor on iOS to do a few simple edits to enhance the fog. 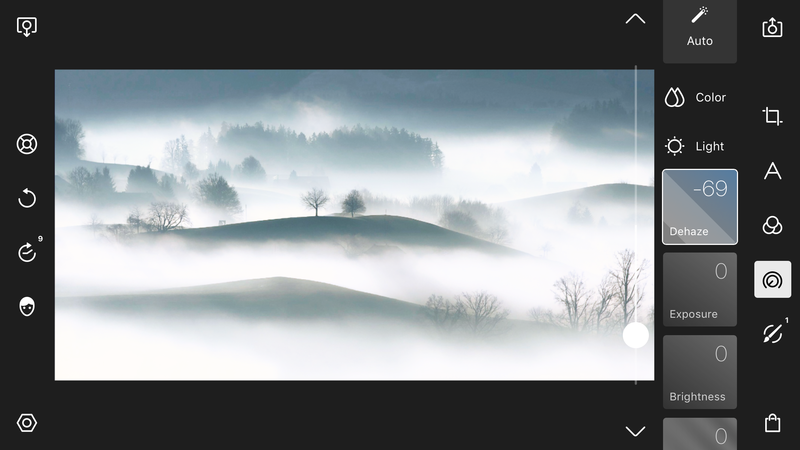 Create a new local adjustment to the fog using a color mask. 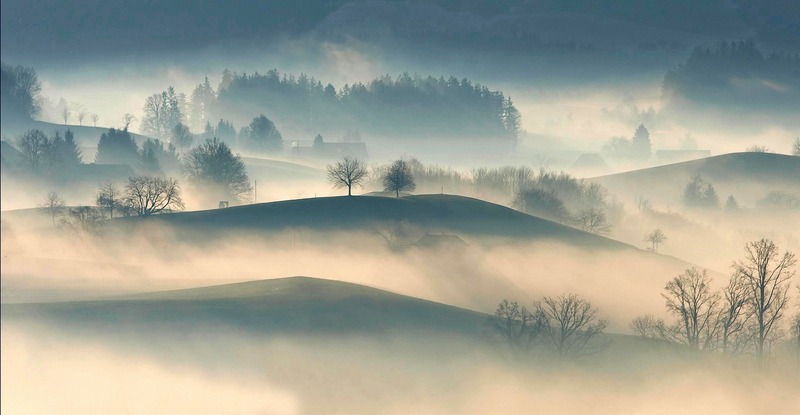 The color mask allows us to target only the fog in the photo without much work. 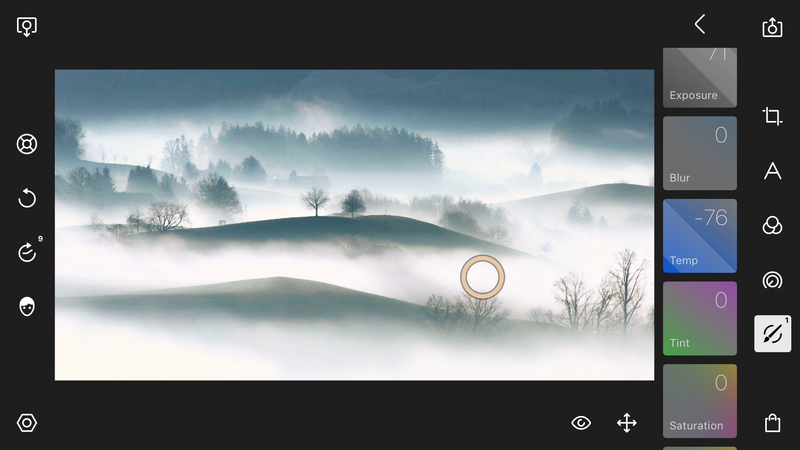 Place the center of the color mask over some fog to make sure it selects that color range. 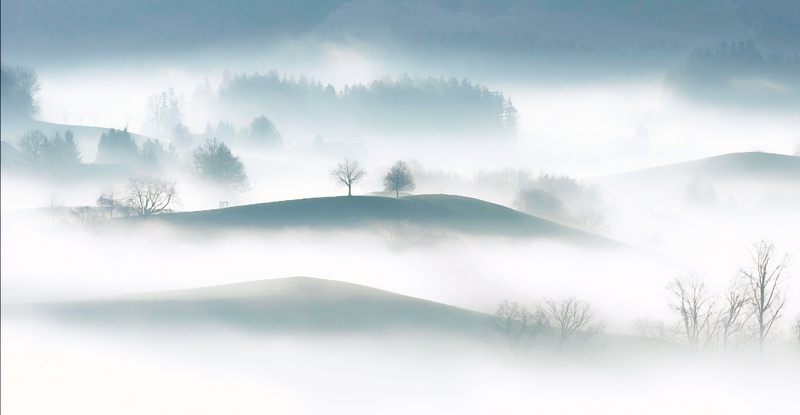 In our color mask, we'll increase the range to cover most, if not all, of the fog. 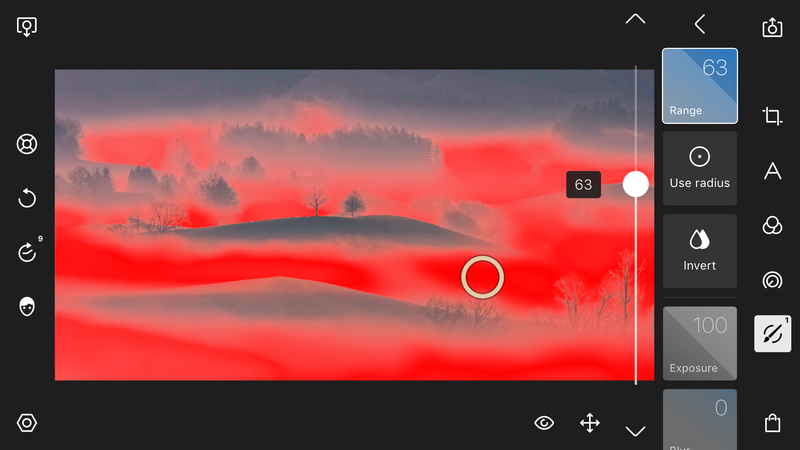 Our color mask by default is set to an exposure of -50, but we want to really make the fog pop out so we'll instead increase the exposure value to something like +71. We can cool the fog a bit by decreasing the color temperature of the color mask. This takes away any warmth that was in the fog and makes the picture feel like a cool morning. Now we leave the local adjustment panel and go to the global adjustment panel. 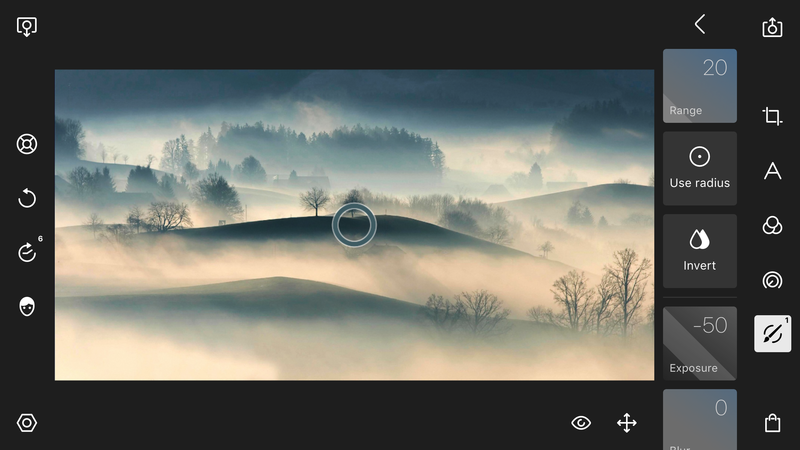 Here we use the light tool to decrease the dehaze value. Our final global adjustment will be using the effects tool to increase the diffuse value. That's it! A few adjustments to a color mask and some quick global adjustments give our image a completely different feel. Here's the final image with our edits.